Munna Kumar Arya (27), hailing from a poor family of East Champaran District of Bihar lost his father when he was 3 years old. His elder brother could not proceed beyond 7th standard due to poverty. His elder sister was killed by her own mother-in-law for not bringing in dowry. Munna Kumar’s family could not even take up this murder with police, due to their poverty. Being a brilliant student, Munna Kumar continued his school education but with great financial difficulty. He earned money by taking up small jobs. When he was studying the 10th standard in 2001, he had the opportunity of reading Hindi version of ‘Ignited Minds’ and ‘Wings of Fire’ books written by Dr Abdul Kalam. “These books changed my mind. I got motivated to get ‘one line in the history’ for my contribution to the society”, says Munna Kumar recalling his past days. He struggled financially to complete his graduation in MS College (Motihari) and MCA with Birla Institute of Technology, Ranchi. Besides getting education loan from a bank, he took up tuitions to earn money to complete his studies. Although he got a lucrative job in a company called CTS, he decided to quit the job and start working towards nation building. 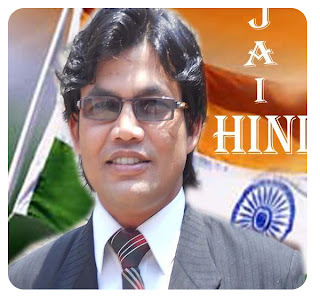 Presently, he works as a lecturer in LND College, Motihari. “Teaching profession will help me achieve the goal”, he says. He started ‘Khwab Foundation’, to achieve the Vision 2020. With the support of the local people, he started two schools in the nearby villages, Motihari and Betia. 300 children currently study in these schools. He also started small libraries ‘Satyadarshan Library’ in 5 villages and plans to extend to many more villages in the district. Every library has around 500 good books and every day, around 25 to 30 youngsters use the library. Interestingly, these young users themselves manage the library in every village. He wants to start many more such libraries. He has also brought together the local journalists to involve them in spreading positive messages through media. Munna Kumar brings out an e-magazine in Hindi titled ‘Junoon’ to spread the positive messages among educated youth. “Vision 2020” hostel (photo) started by him accommodates like-minded college students. He has organised 250 ‘Motivational Workshops’ till date, covering more than 3000 students, to prepare them for Vision 2020. They celebrate national days like Republic Day, Independence day and Dr Kalam’s birth day with great fervour. In 2005, when he started his social activities, many of his friends used to mock at him. Braving all the mockeries, he went ahead with his mission. Now, the same people have address him as “Mr Fantastic”, “Junior Kalam”, etc. “Since I had suffered a lot during my young age to get good education, I want to dedicate my life to the society to bring a change by providing proper education and patriotism, to achieve the Vision 2020. Like my role models, Vivekananda and Abdul Kalam, I want to remain as Brahmachari to serve the society”, Munna Kumar says proudly. His desire is to invite Dr Abdul Kalam to his area and motivate thousands of youngsters. If it is not possible, he wants to meet him either at Ranchi or at Delhi with his team to show the projects and to take his blessings.